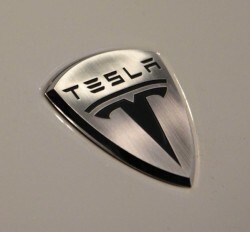 Tesla is one of the most iconic names when it comes to electric cars, with its Model S being renowned for the technological innovations it incorporates. 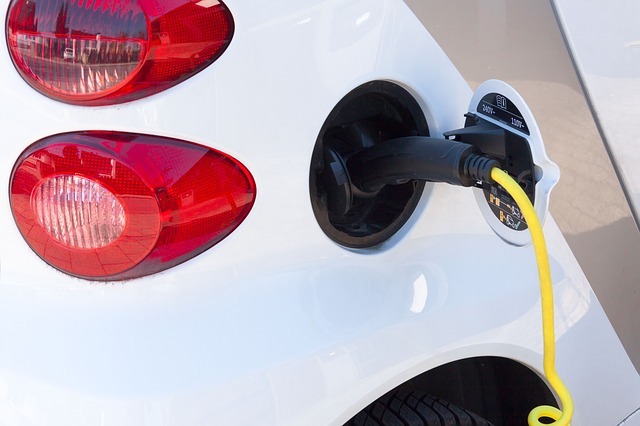 While electric vehicles were initially oriented towards being as power-efficient as possible, Tesla demonstrated that it’s possible to create a vehicle that’s both power-efficient and fast. With a brutal acceleration that allows it to challenge, and sometimes put to shame, some prestigious supercars, the Model S quickly became the most popular electric car out there, delivering just the perfect mix of usability and performance. 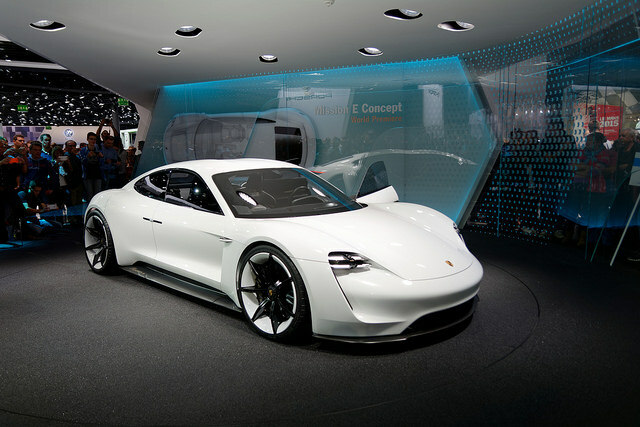 However, it appears that supercars are ready to fight back, as Porsche just announced the Porsche Mission E – its own electric supercar that is expected to give Tesla a good run for its money. 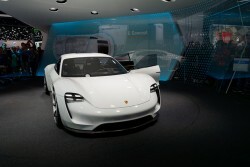 Porsche announced and unveiled its Mission Econcept at the 2015 International Auto Show in Frankfurt. The car, a four-door electric sports car, is set to outperform some of the sport cars available today, but by the way it was presented, it is clear that its main target will be the Tesla Model S.
The stand-out feature of the Porsche Mission E is its charge time: the car will supposedly only need 15 minutes to charge to 80%, which should give it a range of roughly 210 miles. For comparison, a Tesla Model S needs 30 minutes to reach 80% when connected to a Supercharger, which gives it a range of 170 miles. In terms of fully-charged range, the Mission E will also be the winner, with a total range of approximately 310 miles, whereas a Model S can only run for roughly 265 miles on a full charge. 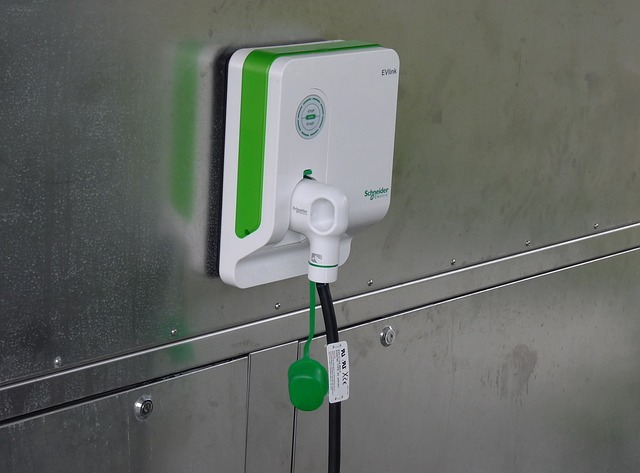 It doesn’t even stop here, though – the Mission E is supposed to support wireless charging, which should make charging as easy as parking it on a specially designed parking spot and leaving it there for a while. In the performance department, the Porsche will be a great challenger for Tesla as well, with a rumored 3.5 seconds for 0 to 60 mph, which is on par with the initial performance of the Model S. The impressive part is that the Mission E is supposed to achieve this performance with only 500 horsepower, as opposed to Tesla’s 693 horsepower. Be that as it may, Tesla put that power to good use, and thanks to some software updates, the Model S reach 60 mph in roughly 2.8 seconds when set in Ludicrous Mode, which will be very tough to equal or beat by Porsche. When it comes to the driving experience, Tesla is renowned for its huge 17-inch touchscreen panel that provides control over most of the car’s settings and features. We’re already used to seeing touchscreen and displays inside a car, but Tesla pushed it to the limit in this department, and Porsche plans to go beyond those limits completely. We’re talking about gesture-activated holographic controls, paired with eye-tracking controls. This futuristic combination should provide an innovative way to interact with the car, but whether it will be an improved experience or not is up for time to determine, as the technologies behind those concepts are not market-ready yet. By the time the Mission E is set to hit the market, though, they might be. And this brings us to the last point. At a quick glance, the Porsche Mission E seems to be a worthy competitor for Tesla’s Model S. There’s just one tiny problem – the Mission E is only set to hit the market in roughly five years, whereas the Model S is already here. The part about the holographic controls sounds very good, and it can be a great selling point if Porsche manages to pull it off (and they should be able to, as the technology behind it will most likely be available at that time). Be that as it may, the 5-year-away Mission E, in the form it was presented at the Frankfurt show, is only on par with what Tesla has to offer right now. By the time the Mission E will be ready to launch, chances are Tesla will have something a whole lot more impressive, judging by their evolution so far. So, will the Porsche Mission E be a worthy competitor for Tesla? It could be, as their direction is definitely a good one, and the specs of the Mission E are great for their first shot at electric vehicles. Porsche also has the advantage of a worldwide service network, so whether you’re looking for Porsche parts in the UK or in the US, in China or in Australia, you will find them, whereas we’re not sure we can say the same about Tesla. However, Tesla still has the higher hand technology-wise, and only time will tell whether Porsche will be able to stand up to that. Cars are in the trend. Every person wants to buy a newly launched car.